Glenn Jacobs, the East Tennessee businessman who's gained fame as WWE wrestler "Kane," is Knox County's new mayor. Knoxville — WWE wrestler Kane has a new day job--- mayor. Glenn Jacobs, a Republican known to millions as Kane, won the election for Knox County mayor on Thursday, defeating Democratic nominee Linda Haney. Jacobs took an early 2-1 lead when early voting and absentee results were reported around 8:30 p.m. It was a much bigger victory for Jacobs than the primary, where he narrowly defeated Brad Anders by 23 votes. Jacobs operates Jacobs Insurance Associates in Halls. He and his wife, Crystal, have lived in East Tennessee since 1995, and moved to Knoxville several years ago. In the wrestling world, Jacobs is better known as Kane, the 7-foot, 300-pound “Big Red Machine,” sometimes a masked villain and oftentimes a fan favorite. Kane has spent almost 25 years fighting in the world of professional wrestling and has continued since his primary win. 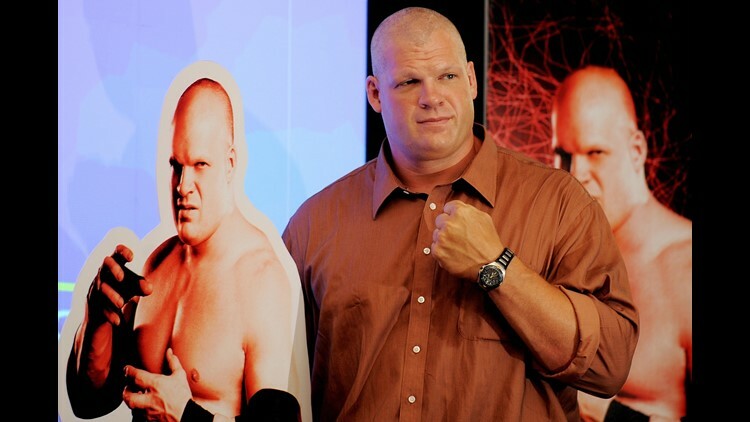 World Wrestling Entertainment (WWE) wrestler Kane poses during a promotional event in New Delhi on June 10, 2009. On his campaign website, Jacobs lists seven areas he will focus on to "make Knox County what President Reagan referred to as 'the shining city upon a hill.'" Jacobs will take office on September 1.